Spooky! Halloween is right in the corner! 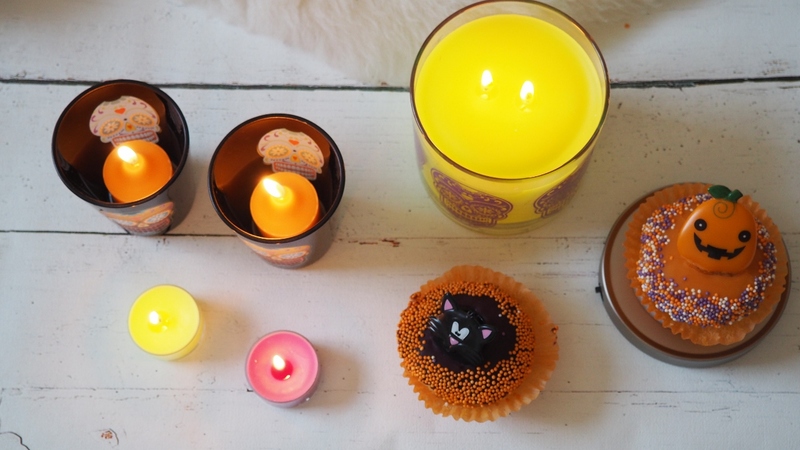 For this amazing occasion PartyLite send me their Halloween candles collection to review!You may remember my previous post from PartyLite Candle Review? You will know how much I adore their concept! Halloween collections is something special thought!I bloody love it! They smell amazing, and just check out the designs. 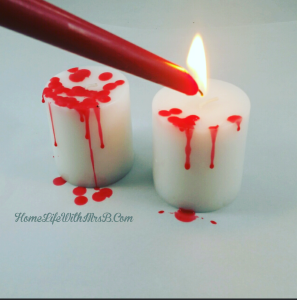 Isn’t it the most amazingly designed candles for Halloween? 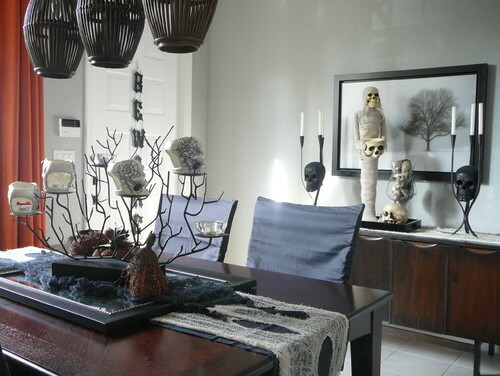 I absolutely adore the candy skull black votives holders! I think these would look amazing regardless you put loads fancy decorations or not. I have received in my parcel Hocus Pocus Scented Jar Candle, it is with double wicks and it’s a huge with surprisingly delicate fruity scent! In the parcel, I also found a Colour-Changing Candle Base, which I haven’t used duo to not finding any working battery in my home! Urghh..sorry! The Skeleton Dance Votice Pair is my favourite! The design is scary famine but the colours will also look ace in any masculine home such a beautiful design, Autumn Glow Votive just made me soo excited for Xmas! The smell of apples and pears! So yummy! 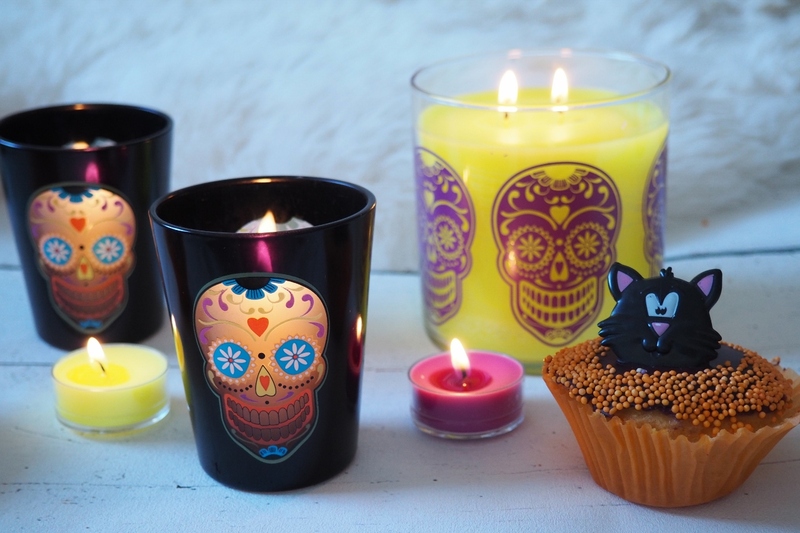 Hocus Pocus Tealights, are selection of colourful and neon light and sweet fruity scent! 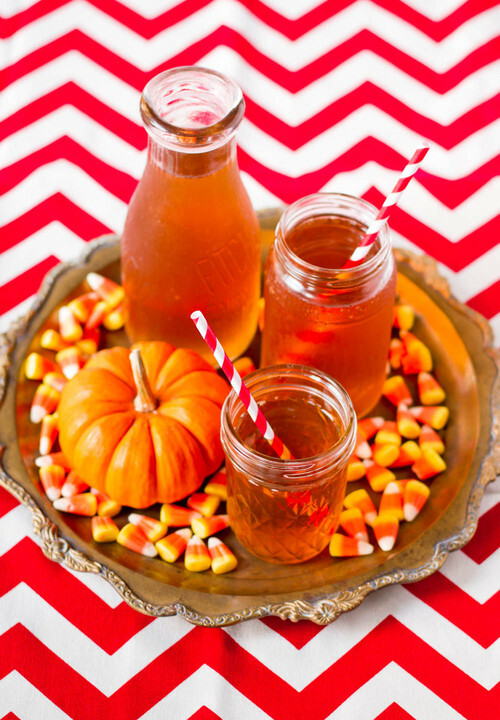 Scroll to the bottom to find out How can you win the whole collection for your Halloween! 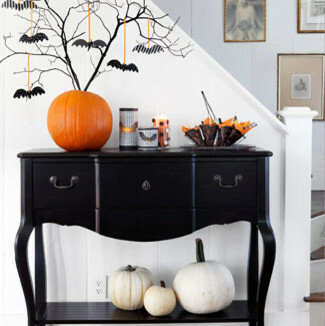 As promised, I will now try to inspire you with most beautiful/ scary Halloween decor! 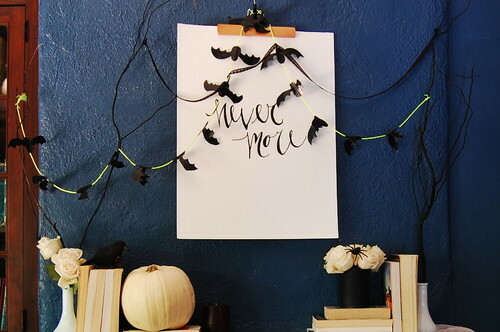 Halloween doesn’t have to be dark and moodie, it can be colorful and fan too! Enjoy! 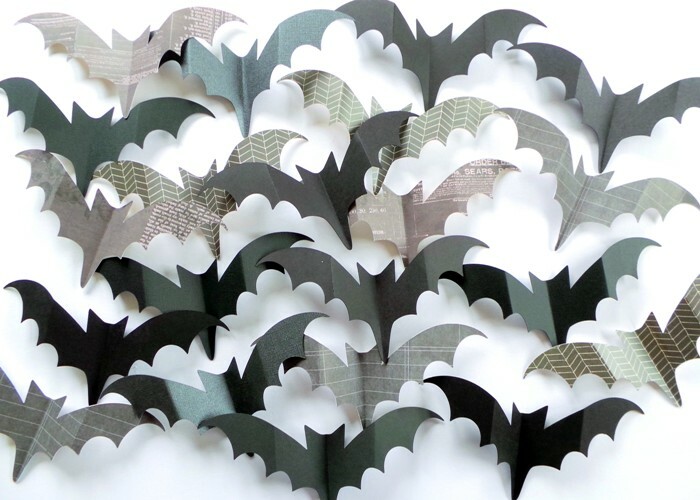 Jennifer will teach you how to make pretty awesome Halloween bats! So easy and clear instructions you can’t miss! Now, the Best part! Halloween Giveaway! sorry I ate the cupcakes! I love you ideas, some new ones for me to try out 🙂 The kids are going daft for Halloween this year, and my 6 year old LOVES sugar skulls! Your interpretations are cool. 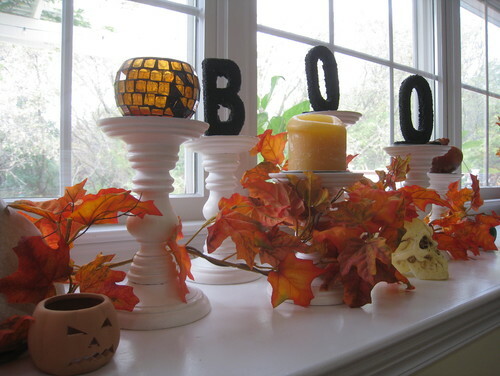 Have you thought of outdoor decorations yet? I don't know how to make a ghoul but that would be a scary inspiration. I love them 🙂 especially the fireplace! 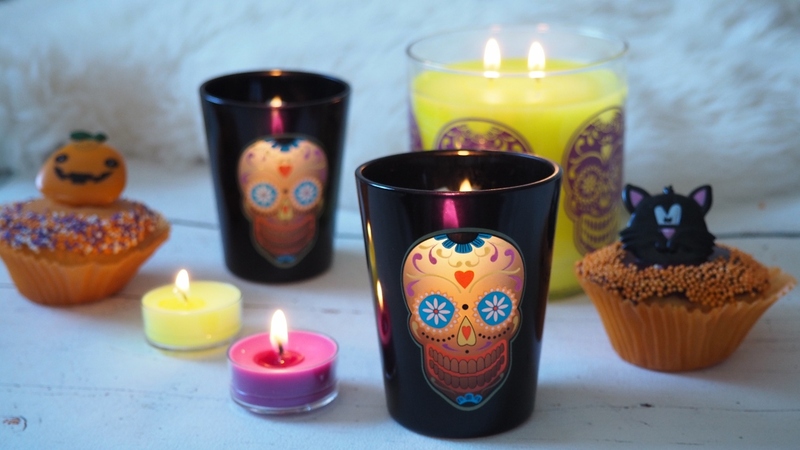 The candle holders themselves look like a Mexican 'Day of the Dead' design. Love the interiors of some of the houses too. Hope the competition goes well. Amazing creation. Amazing design. This candles are the best scented candle at this moment. Really impressed, some lovely photos there. I LOVE your style! All the pictures are just gorgeous!! Love the dining room photo! Happy Halloween ? 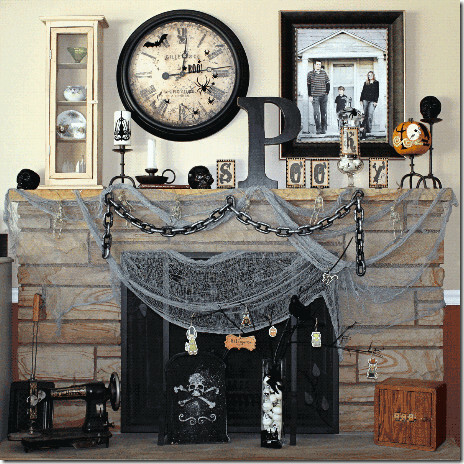 I love everything in the photos especially the B O O ornaments on the window ledge. Love your style! Oh wow! loving this witch on the staircase! I would totally love to have one in my house! 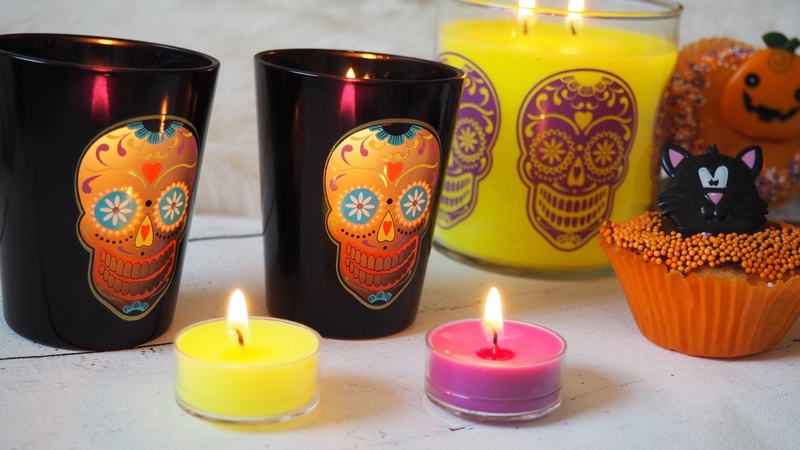 normally, I am not a big fan of skulls but these candles are absolutely adorable! I literally love halloween. Cant wait to throw a party this year! 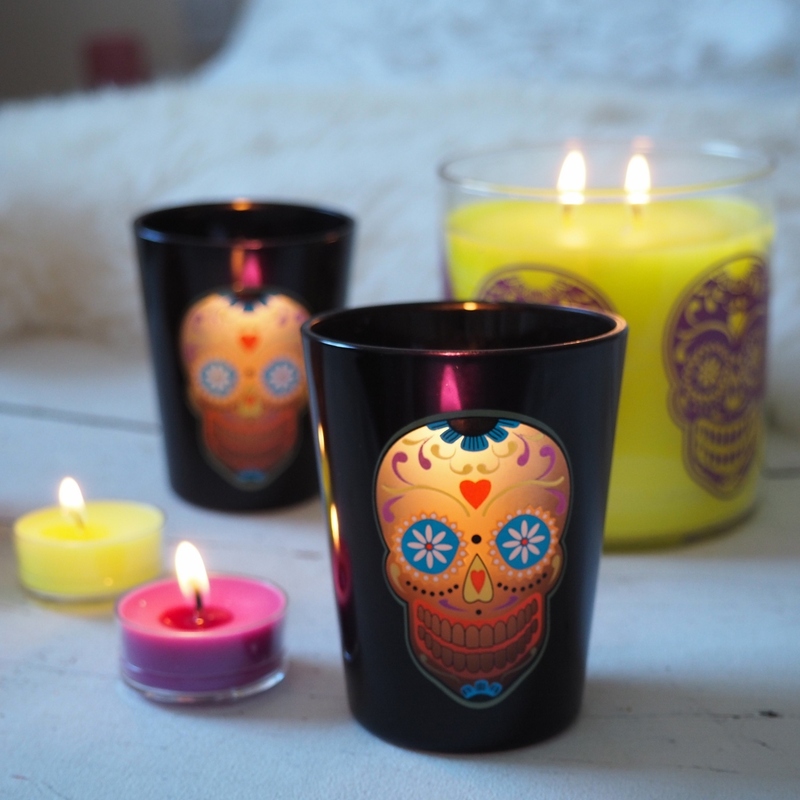 Skull candy candles will be on the list now for sure! I love all of these! Halloween is one of my favorite times (besides Christmas)! I hope I win! 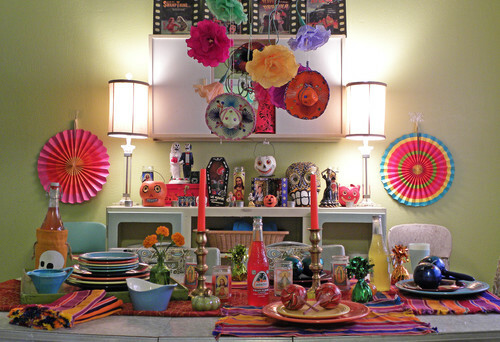 I love the reference to dia de lus muertos the Mexican Day of the Dead with the sugar skull design and your interior design skills are on point as usual.